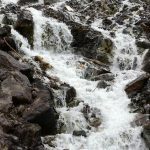 Does Colorado need a water plan? Are there bears in the woods? You wouldn’t start a business or take a long trip without first making a plan. The same should be true for the world’s most precious resource, the one we can’t live without for more than a few days – WATER. But, up to now, Colorado has not had a plan for water, and it’s been more than 150 years since white settlers started pouring into the state. Since that time, miners, farmers, ranchers, and towns across the state have pulled water from Colorado’s rivers. It led to prosperity, but had significant impacts, too. Many rivers and streams run much lower than they used to and several fish species are hanging on to existence by a thread. 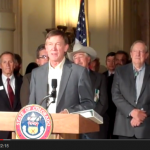 Protecting water rights in streams was recognized under Colorado law just 4 decades ago. But, water rights in the state are governed by “first in time, first in right”—so in many rivers, most of the water is already used by those who came first. Securing water rights for the river was like dropping a runner off at the starting line of a race several hours late. The values held by Colorado’s residents have changed a lot since 1860. They’ve changed because most of us are not eking out an existence in a rugged frontier, but rather working in cities and enjoying the great outdoors as a playground. 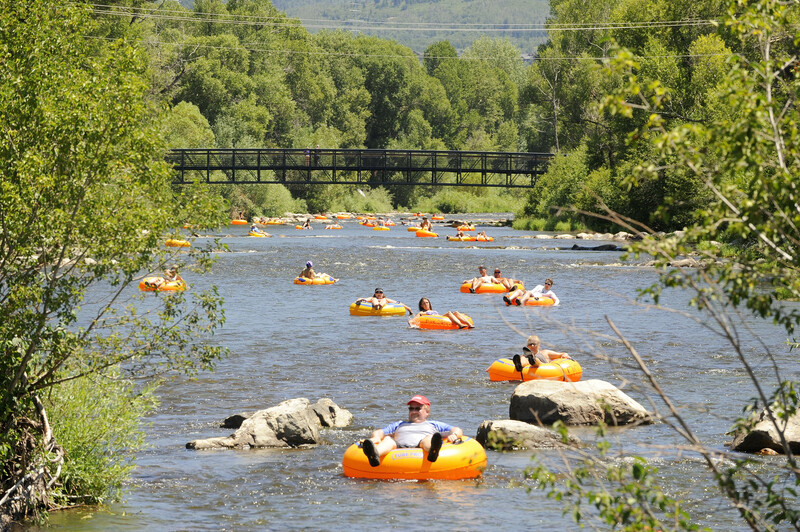 Colorado now has a water-based recreation industry that—on the West Slope alone—is responsible for 80,000 jobs and over $9 billion in revenue each year. We have deeper knowledge of how essential water is for native fish and wildlife species, national parks, and other irreplaceable treasures. We want to continue to provide for resilient and profitable agriculture and communities, but not at the expense of recreation, tourism, and the environment. 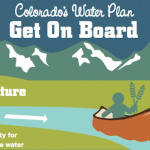 So, the launch of a process to write Colorado’s first Water Plan—initiated in May 2013, and due in draft on the Governor’s desk by the end of this year—is a rare opportunity to get our rivers back into balance. It’s an opportunity to set out a blueprint for using less impactful ways to meet human water needs, turning a greater focus on water efficiency, re-cycling, and agreements that share water between farmers, cities, and the environment. This week, the Colorado Water Conservation Board met to discuss several draft chapters of the Colorado Water Plan. Experts from Western Resource Advocates, our conservation partners, urban water providers, and business owners provided feedback on these chapters and sent a strong message on the importance of sustaining Colorado’s rivers. We’ll be tracking progress on the plan as it continues to go through drafts this year. The Plan is a huge opportunity to secure a positive future and find workable water solutions that reflect modern-day values. With your help, we can get there. Make your heard by sending this letter to the water board.